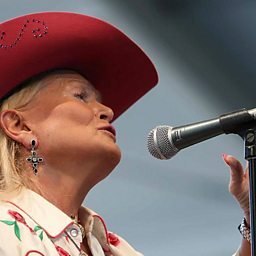 Lynn Rene Anderson (September 26, 1947 – July 30, 2015) was an American country music singer known for a string of hits from the late 1960s to the 1980s, most notably her worldwide crossover hit "Rose Garden" (1970). 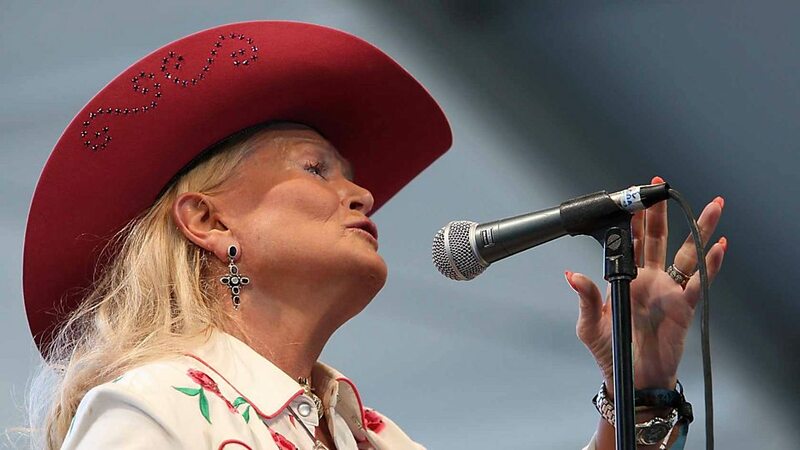 Anderson's crossover appeal and regular exposure on national television helped her become one of country music's first female superstars in the early 1970s, taking it to venues and television shows around the world that, previously, had not been receptive to the genre. In 1970, she became the first country star to appear on The Tonight Show with Johnny Carson. Anderson charted 12 No. 1, 18 Top 10, and more than 50 Top 40 hit singles. In addition to being named "Top Female Vocalist" by the Academy of Country Music (ACM) twice and "Female Vocalist of the Year" by the Country Music Association (CMA), she also won a Grammy Award (earning seven nominations), People's Choice Award and an American Music Award (AMA). Record World, one of three major industry trade magazines at the time (Billboard and Cashbox the other two), named Lynn Anderson 'Artist of the Decade' for 1970-80. She was among the most highly awarded female country artists of her era. Additionally, Anderson was the first female country artist to win the American Music Award (1974), as well as the first to headline and sellout Madison Square Garden that same year. She was the #13 music artist of the 1970s according to Joel Whitburn and the highest ranking country artist not yet in the Country Music Hall of Fame and Museum.